The tiny Library is the place be after a the work has been done. After all the digging, weeding and cutting has been done and the flower bulbs are planted we are approaching the shortest day in December. With the celebration of Christmas and New Year ahead it is time to enjoy the warmth of the woodstove in our tiny library. This is just the right place to enjoy a cup of tea, to read a book or just to look over the flowering heather and dream away in a cozy chair. 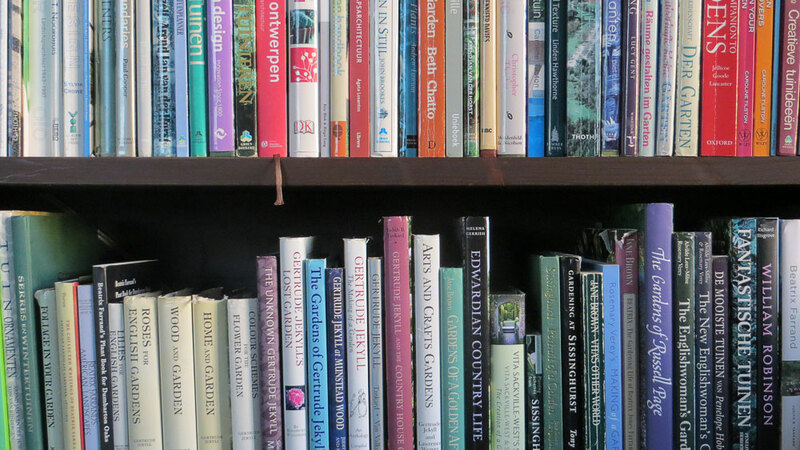 Over the years I collected many garden books which formed the inspiration for the creation of Viller the Garden. 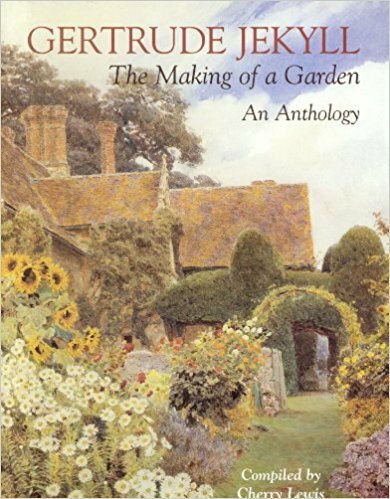 A lovely coffee table book compiled by Cherry Lewis for people who want to know Gertrude Jekyll. This must have book contains excerpts from her books and is illustrated with contemporary black and white photos. 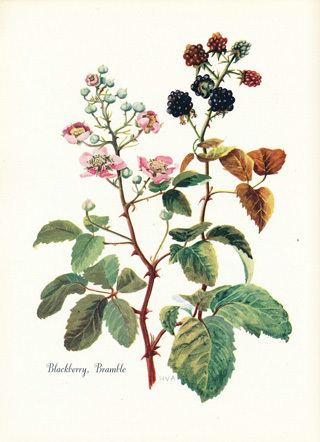 In addition you will find reproductions of beautiful paintings from Helen Allingham and George Elgood. Unfortunately you can order this book only second hand. 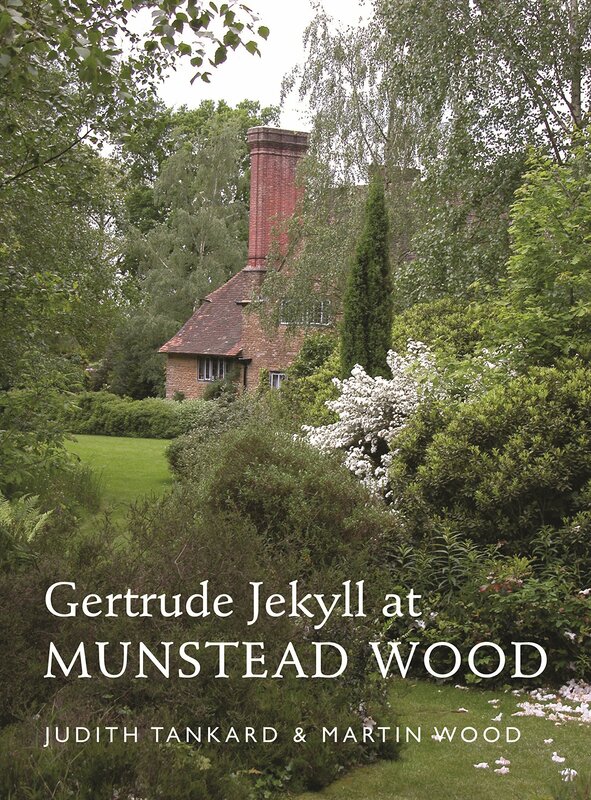 I have been reading the original from 1996 but I discovered a new redesigned edition with black and with photos of Munstead Wood which are completely new to me. 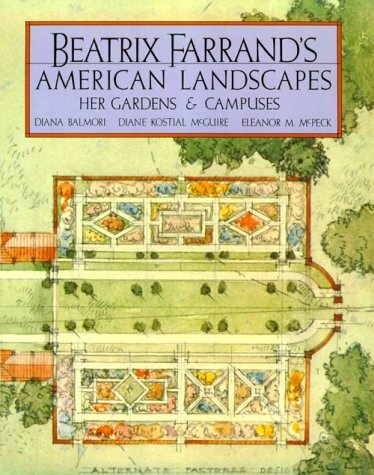 The right book to meet this versatile American Landscape designer. 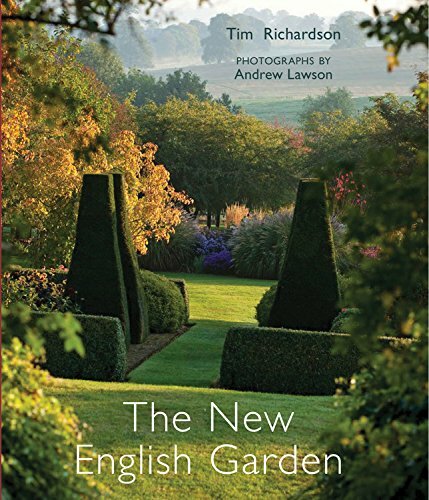 Maybe the best book on contemporary garden design I have ever been reading . Tim Richardson and Andrew Lawson did a marvelous job!